I just returned from a trip up to Mount Mansfield at Stowe with my daughter Allison. Last year she hiked the Long Trail. Solo. In 20 days. An incredible feat regardless how you look at it. We returned this year to make a father-daughter hike up to Vermont’s highest peak, together. 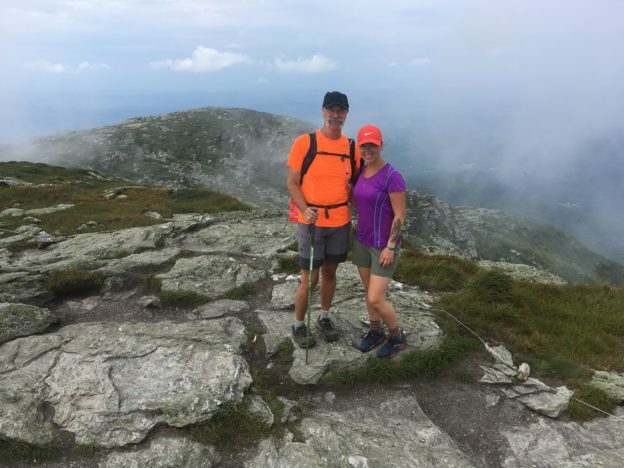 The story of our hike up Mount Mansfield however, is not the purpose of this post. 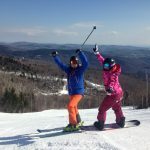 Rather, it is just some ramblings about skiing the east that crept into my head as Allie and I made our climb up and down the rocky crags of northern Vermont. Seeing the Stowe area mountains in summer made me realize something. 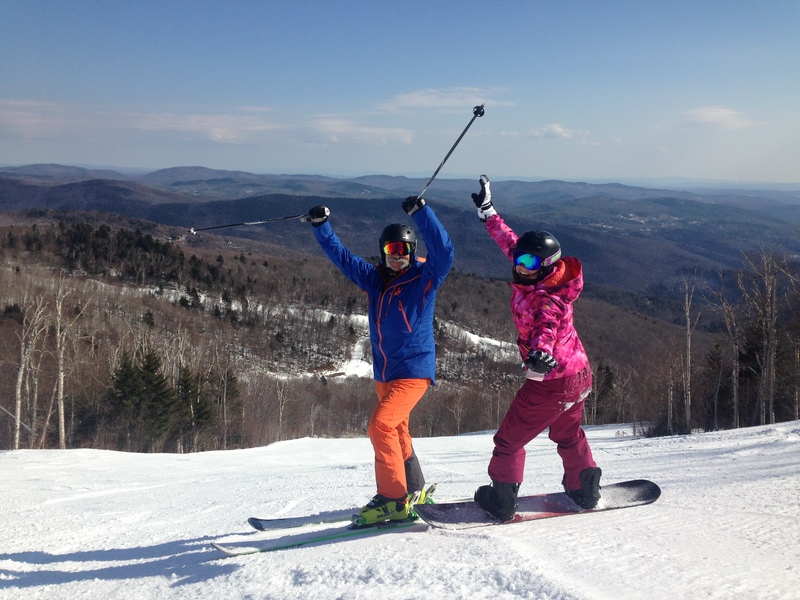 While skiing and riding, we get a pretty jaded view of New England’s mountainous landscape. Everything is draped in a blanket of snow. There are few if any harsh lines in the landscape. Our world of white appears sculpted of smooth lines and gentle curves. But climbing the rock face up the side of Mount Mansfield I see the ski slopes, up close and personal. And without that deceptive cloak of white that hides the harshness underneath. These New England hills are hard granite rife with fissures and crevices. Harsh angles cut of hard stone protrude. As we climb, trees become twisted dwarves of those below us. Limbs stunted on the windward side, longer on the lee. Heather, lichen, and alpine blueberry cling to the face of the rock. They struggle to avoid the fierce, desiccating wind that buffets Allison and I and shapes the life around us. Such a harsh world of existence beneath the wooly white we find such glee in gliding over. I don’t often think about, when riding the chair back to the top of the ski slope, that hidden world underneath the snow. I’m thinking about the next run down the mountain. The view from “The Chin,” the real summit point high atop Mount Mansfield, is of course remarkable. Scanning the 360º vista I see the slopes of Stowe and Smugglers far below and away. A shrill bird-like screech pierces the air and I catch a glimpse of a peregrine falcon plummeting down a cliff face. I know that next time I am riding the chair back to the top, I will remember these images. I will remember there is a secret landscape under my skis, beneath the blanket of snow, waiting for the warmth of spring to jump to life. Our New England hills are ancient in relation to the mountains out west. Once tall and majestic, eastern mountains were bull-dozed. Ground down and smoothed out by the unrelenting creep of mile-thick glacial ice thousands of years ago. They have since been sculpted by centuries of rain runoff and snow melt. Then cracked and split by never-ending cycles of freeze and thaw. Our New England hills are not majestic because of their staggering height. They are majestic for their stubborn tenacity and ability to maintain prominence regardless the forces at work tearing them apart. The clouds have now poured into the valleys on the eastern side of Mount Mansfield, and we can no longer see the trails carved out on Stowe and Smuggler’s Notch ski areas. To the west all is clear, but far to the north and west we see darker clouds that suggest some weather heading our way. Neither Allie nor I want to be on the exposed heights amidst a thunderstorm. We take a final pause to bask in the beauty of the mountains one final time as the clouds race towards us. A 50-mile an hour gust pushes me off balance. A low hanging cloud swirls in tattered fragments around Allison who for a brief moment appears as a waif arising from the barren grey rock. Such a stark landscape. Such a beautiful a landscape. Allison turns her head and our eyes meet. We share a look that says we both know we are in a very special place, sharing a moment in time that will forever stay etched in memory. We turn our gazes to the rock beneath our feet and begin the quiet trek down off the heights. This entry was posted in summer and tagged summer on August 4, 2018 by Alan Desbonnet. Today, stand up paddle is an accepted way of keeping a sane and healthy lifestyle. But my first impression of the sport was anything but. It was maybe 12 or 15 years ago. I was out one summer morning fishing from a boat near the Napatree Bell. Way off in the distance, towards Watch Hill, I saw something small, something thin, something vertical, on the water. But I couldn’t place it. I wrote it off as a fisherman standing up in a flats-style boat sitting very, very low in the water. As I continued fishing, the small figure came closer and slowly enlarged. To the point that I could make out that it was a person. They were standing up on the water doing something with their arms. Kind of like a hula dance. A few swishes of the arms on the right, then a few on the left, and then back to the right. Given the title of this piece, you have by now, I am sure, figured out it was a person on a stand up paddle board. And indeed it was. It was my first recollection of seeing someone on a paddle board. Especially out in the open ocean environment. I don’t know where the young man on the board began his paddle. My last sighting was of him by the outer Stonington breakwater paddling towards Stonington Point. I thought he was nuts. Paddling an oversized surf board through chop and boat wakes didn’t seem like a sane or healthy lifestyle. I totally expected to see him get tossed into the water at any moment. But he didn’t. Along any body of water you can now find a multitude of paddle boarders. I dare you to go out along the Mystic River any day of summer and NOT see at least a handful. Face it, stand up paddling has taken the aquatic world by storm. And for good reason. Stand up paddling is a great work out. And a great stress reliever. The simple act of getting up on a board and balancing puts to use all the leg muscles. The balancing act keeps the leg muscles constantly firing, and yes, they can and do get tired. And of course once the paddle is dipped into the water, the upper body gets worked. And once you get steaming along, the trip becomes aerobic. Paddling is a full body sport, and you know it when you step back onto dry land. Paddle boards also provide a platform to chill. Passive yoga on a paddle board would be a great way to “destress.” But all forms of yoga are becoming popular on a paddle board. In fact, classes to help you ease into finding mental and physical balance through SUP yoga are pretty easy to find. From relaxing to extreme workouts, SUP yoga offers the gamut. The bottom line is that paddle boarding may be the medicine you need to keep a sane and healthy lifestyle. Being on the water, whether salt or fresh, is a soothing balm regardless anything else. Take it to a sweaty extreme, or free your mind of clutter and stress. Or find some balance in between. It’s all possible from a paddle board. It’s summer. Now is the time to check out paddle boarding and the possibilities it brings. A light wetsuit can extend your season into the fall, one of the best times of year along the coast. The crowds are gone. The water is warm. The sky crisp and blue. A healthy lifestyle really doesn’t get much better than that. 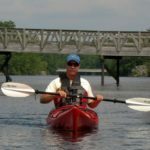 This entry was posted in summer and tagged paddle boards, summer on July 5, 2018 by Alan Desbonnet. 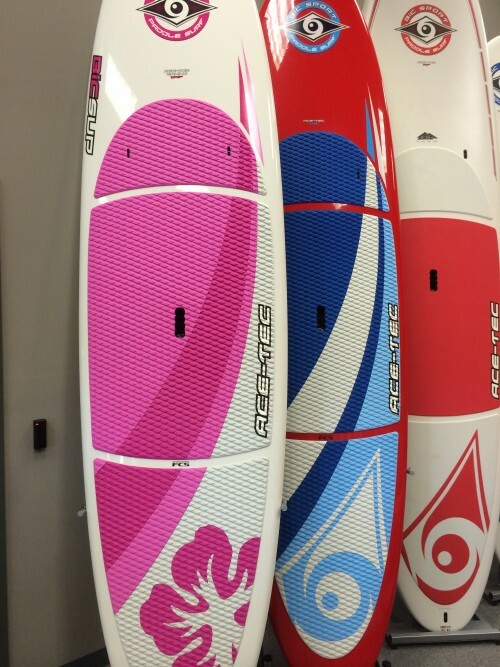 New stand up paddle boards have invaded Avie’s Ski / Sports, and are ready for you so your SUP fun can begin. With a holiday week approaching quickly—and the weather predictions are, finally, for some real sizzling July temperatures—plan some time on and in the water. Of course, you need some “water toys” to make things the ultimate best. BIC boards are a “go to” for SUP fun, and there is a good selection at the shop. 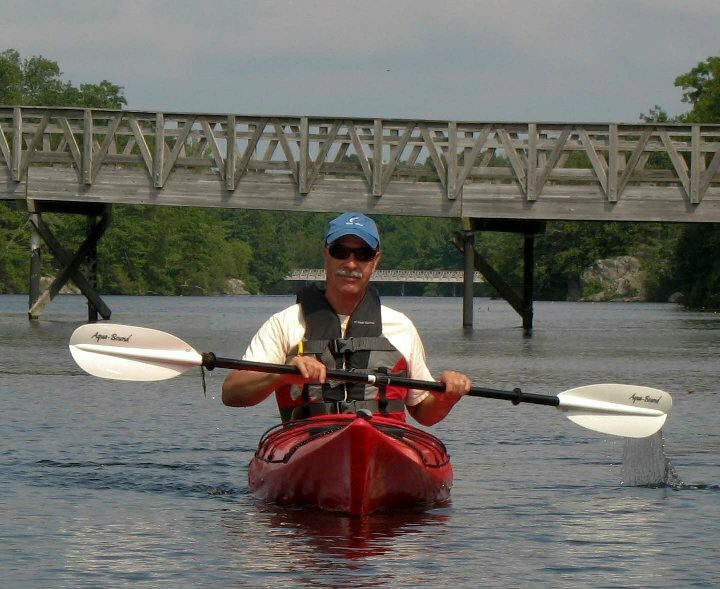 Beginner and intermediate paddlers will find the BIC Performer a great fit. These boards are very affordable, and very stable. Great to learn on and great to improve on. Also great to share by inviting the family pet onboard for a paddle. Avie’s Ski / Sports now is offering a more diverse line up of boards to better fit personal whims and desires. Focus SUPs are now in-stock. Focus Prime boards offers great versatility for both paddling and surfing. And at a great price. The Smoothie series of SUPs are stable, traditional boards, but with a “wood-tone” look that gives them great eye-appeal. The Smoothie will be a great family board, and would be an excellent partner for on-the-water-yoga. Tundra by Focus breaks away from the norm and gives the paddler a more sleek and trim deck underfoot. This board tracks and glides better, therefore is a master at offering longer distance paddling adventures. Use the tie-downs to lash on a few things and paddle over to Sandy Point. Finally, for those paddlers who are a bit more accomplished, hop on the Focus Bluefin and brace yourself. This aquatic race horse is built for speed from bow to stern. Pair this with the Kialoa Methane II carbon fiber paddle, and you just might raise a rooster-tail in your wake. Summer is officially here. And it feels like it. Get wet. Have some SUP fun! This entry was posted in summer and tagged paddle boards, summer on June 29, 2018 by Alan Desbonnet. 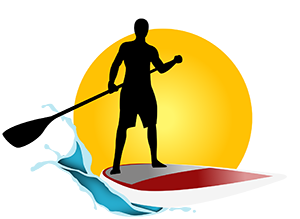 This entry was posted in Store Events, summer and tagged paddle boards, summer on April 22, 2017 by Alan Desbonnet.